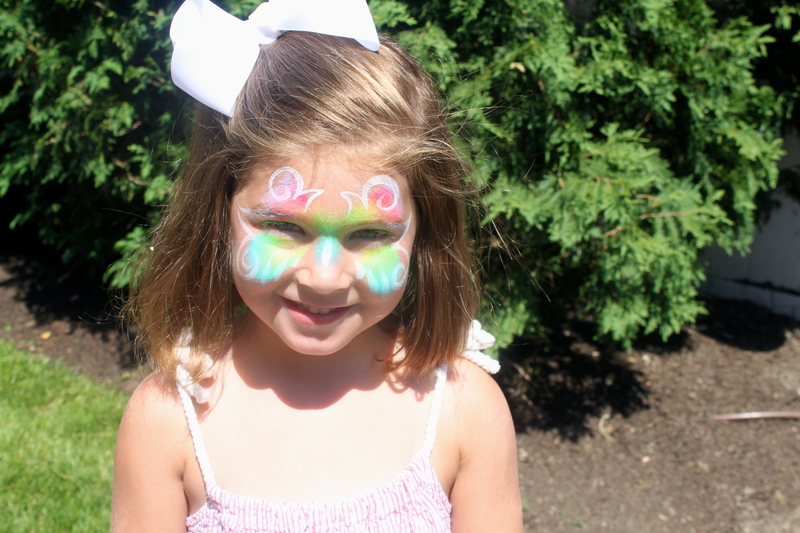 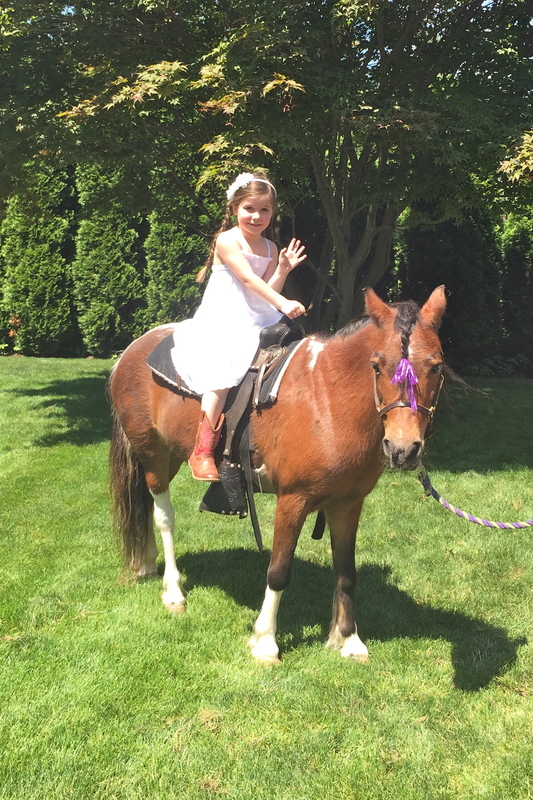 We recently celebrated FIVE glorious years with our youngest princess, Molly Kate. 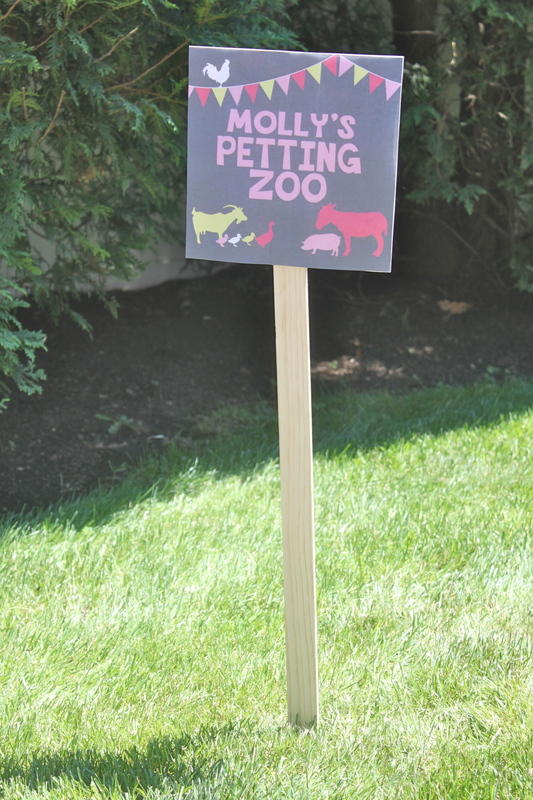 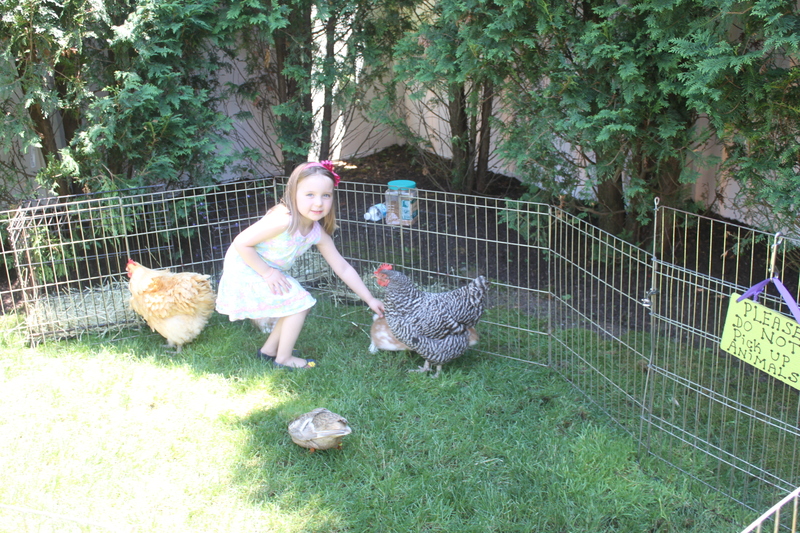 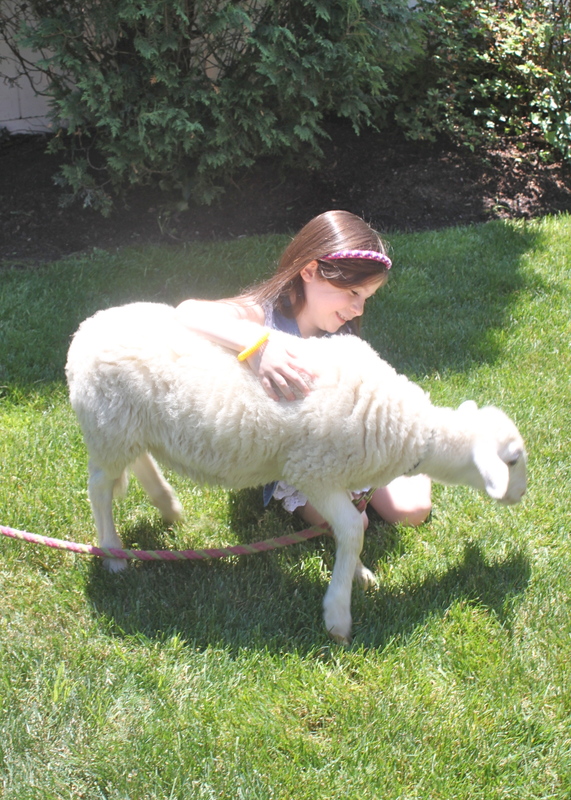 Molly has a real affection for animals so I planned a Petting Zoo Birthday Party for her. 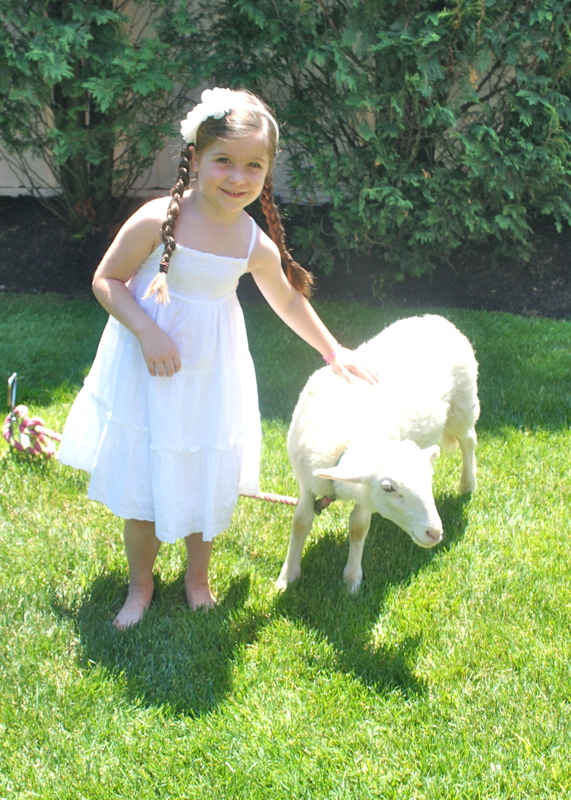 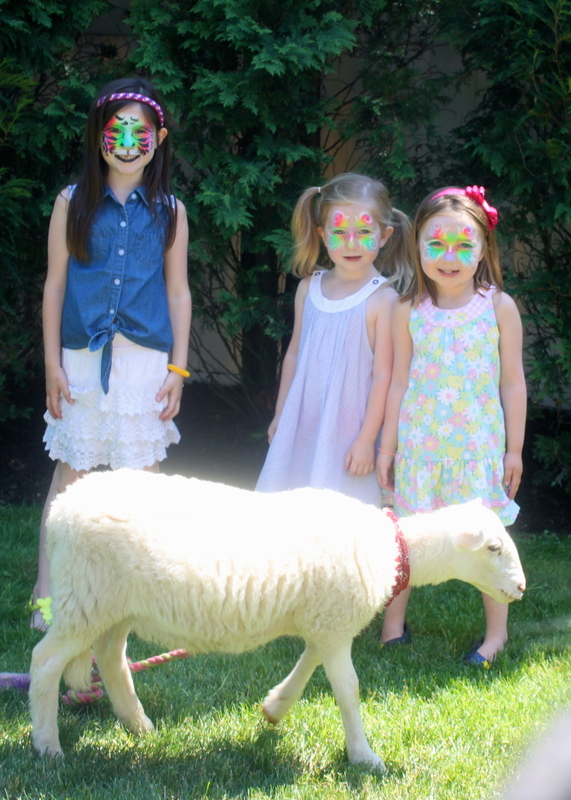 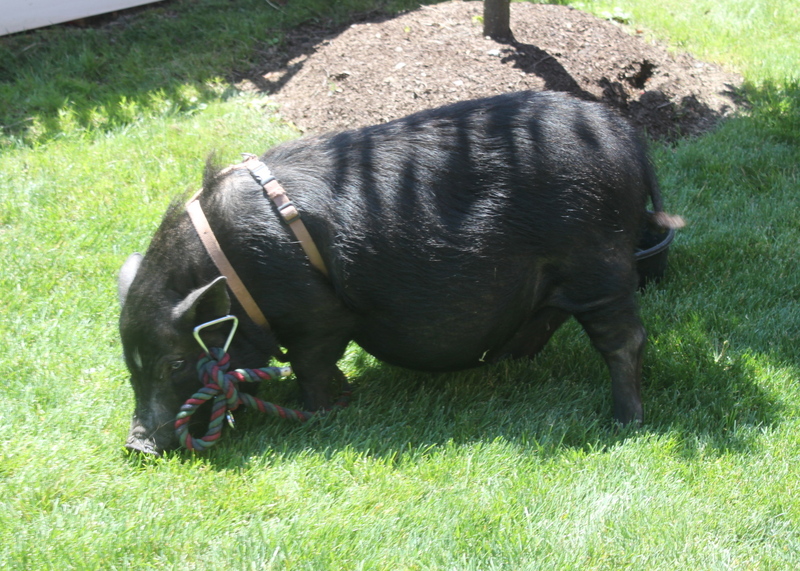 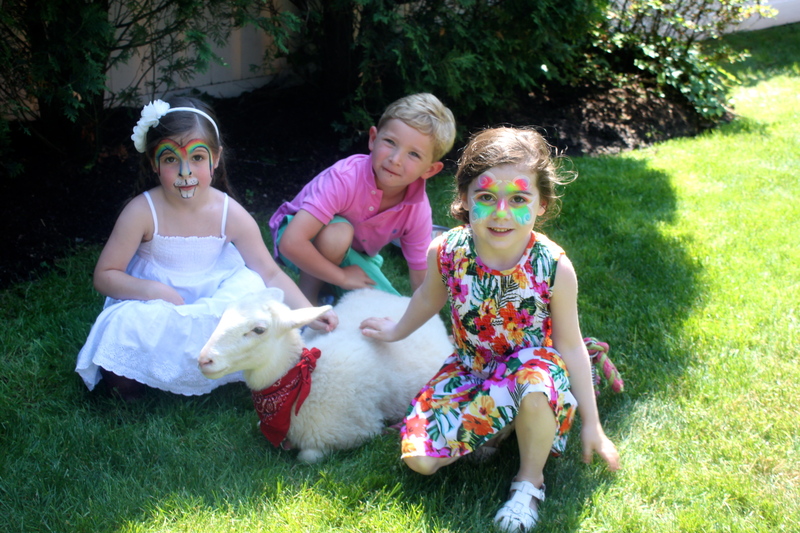 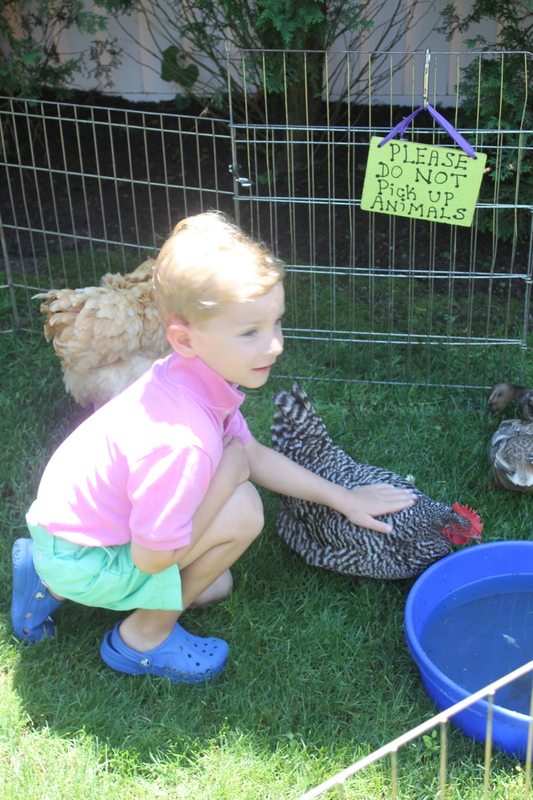 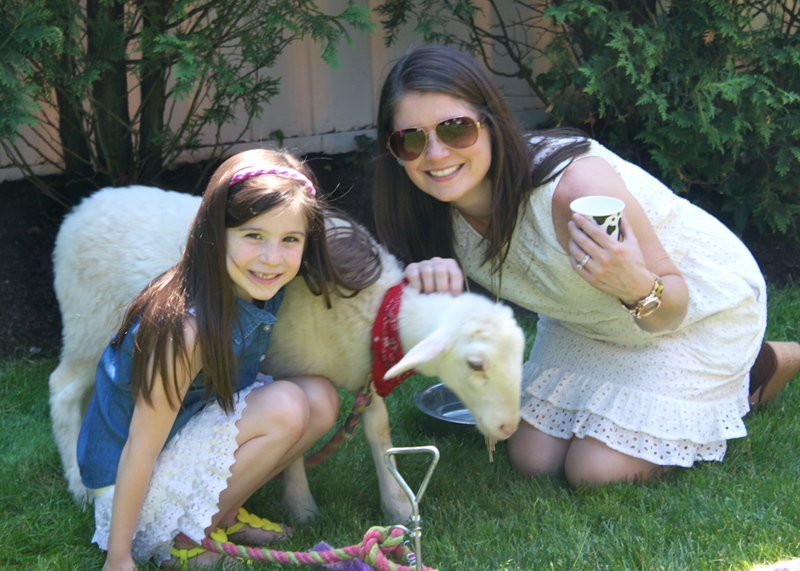 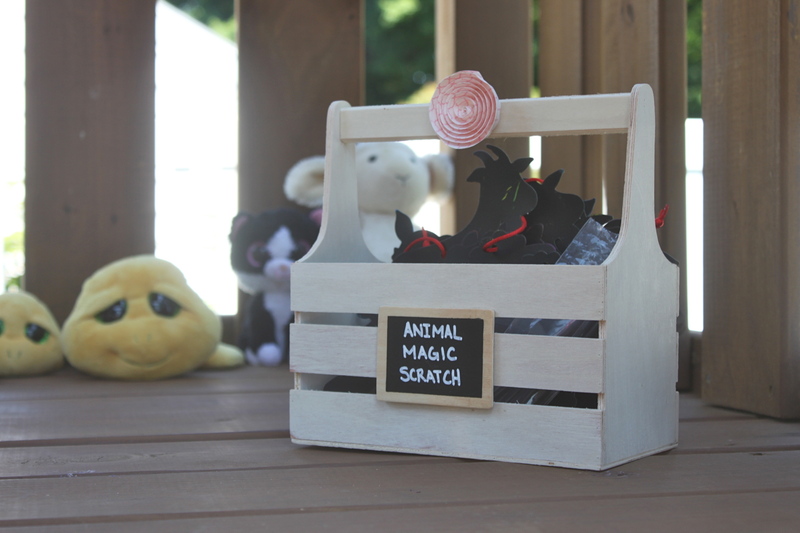 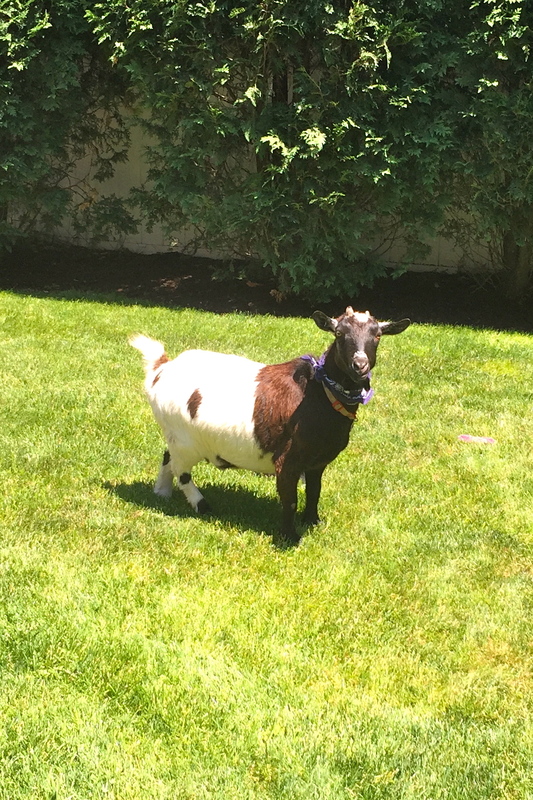 We had Pied Piper, a traveling petting zoo company set up their animals right in our backyard. 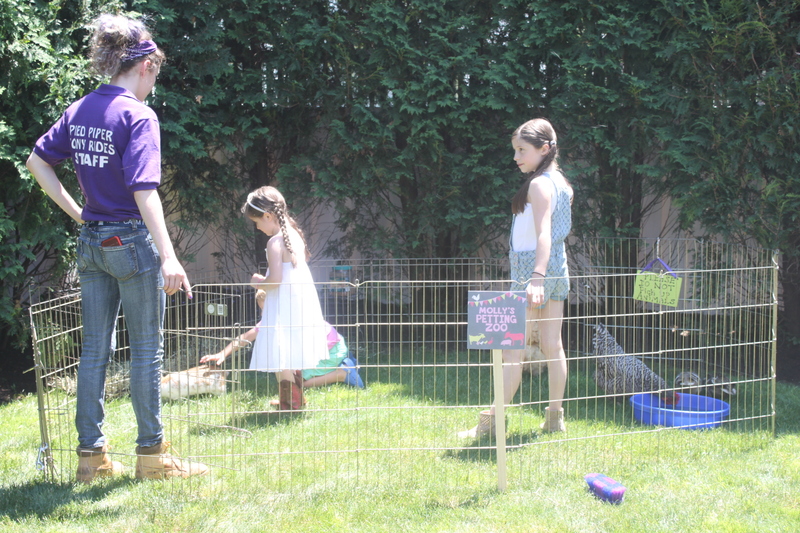 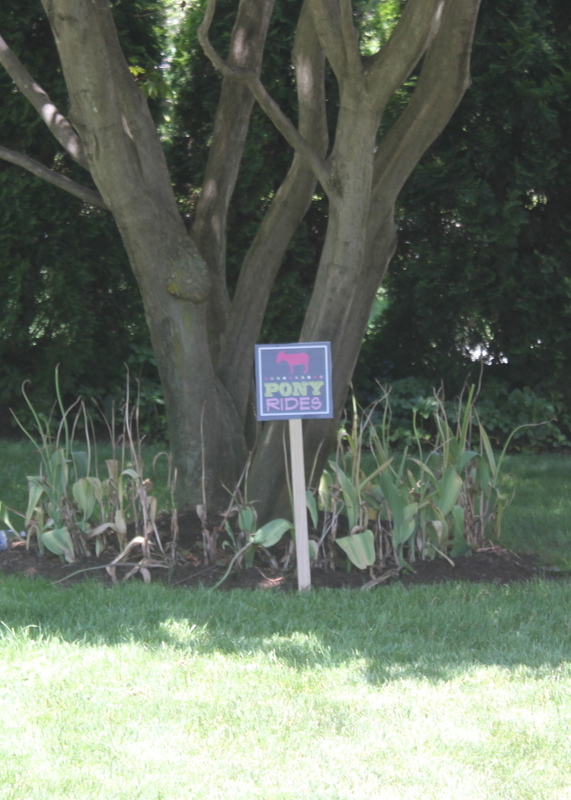 We had bunnies, ducks, chickens, a lamb, a goat, a pot belly pig, and a pony for pony rides. 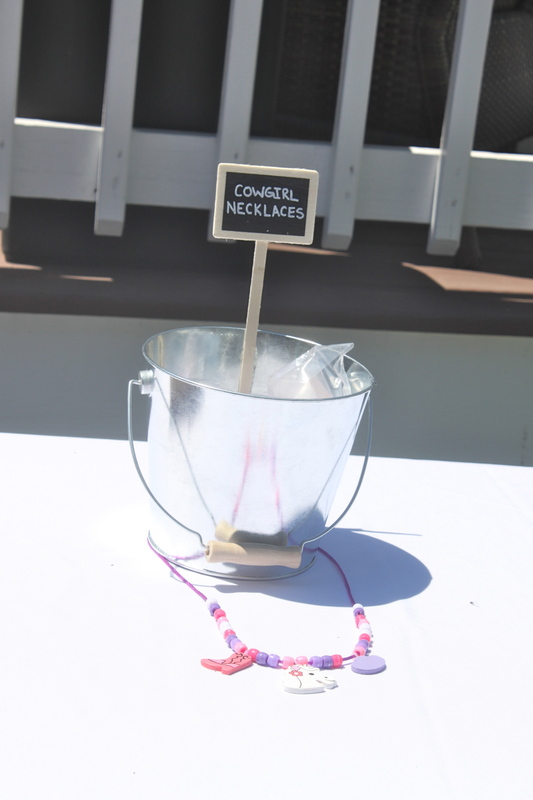 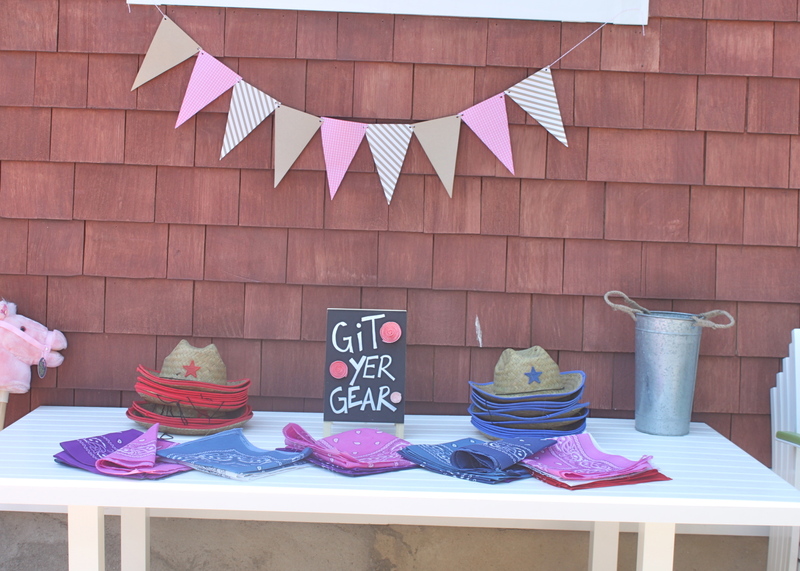 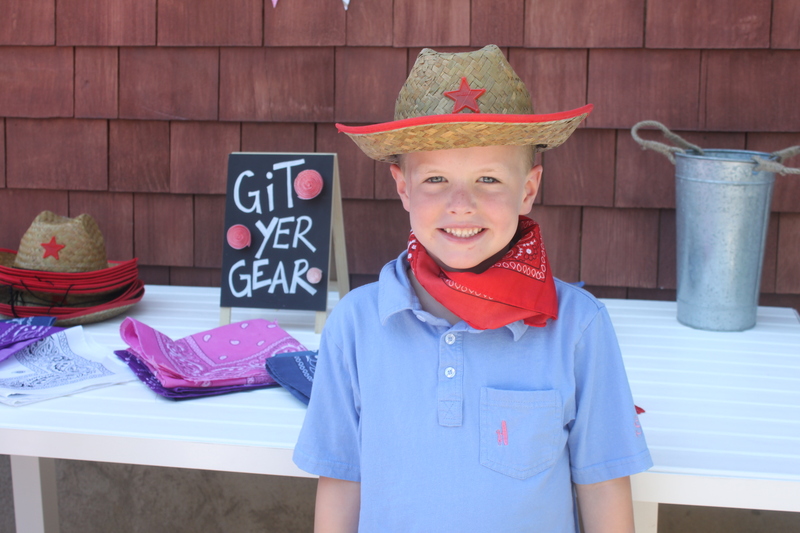 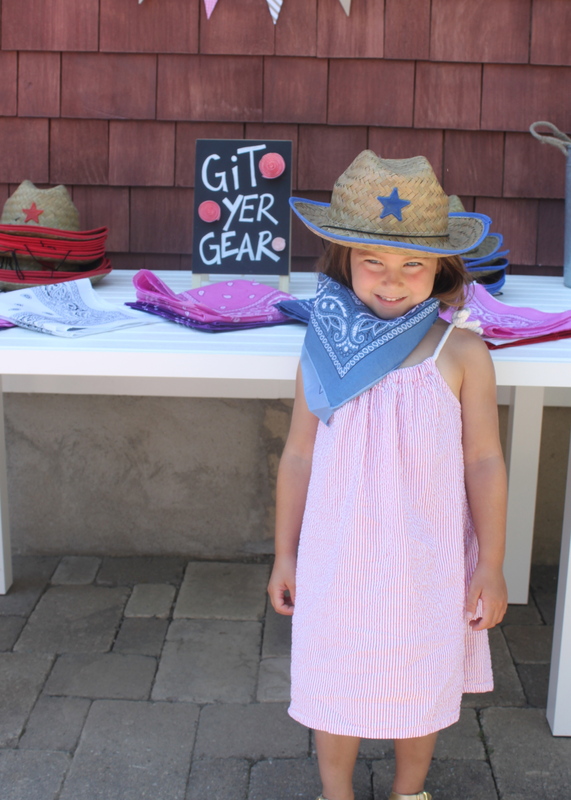 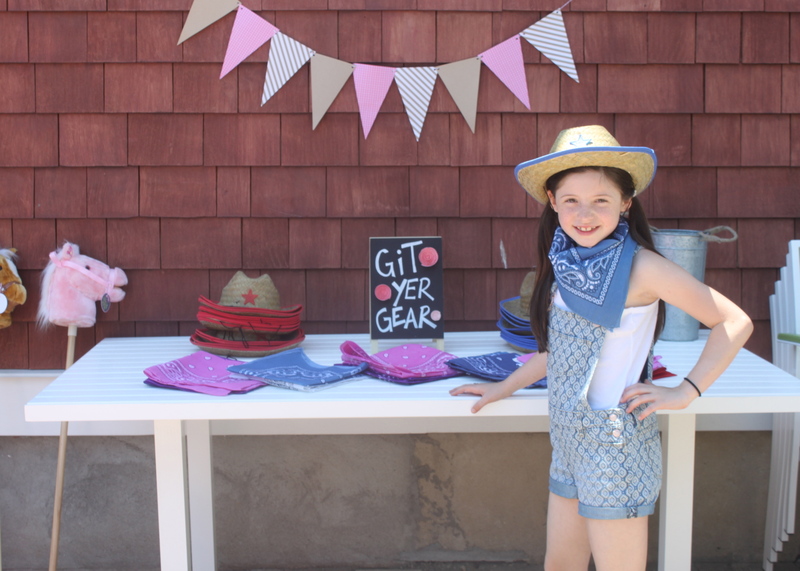 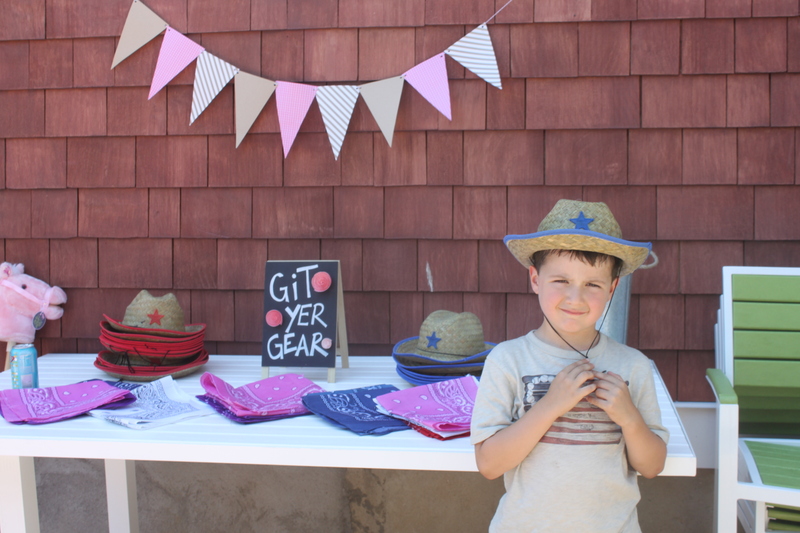 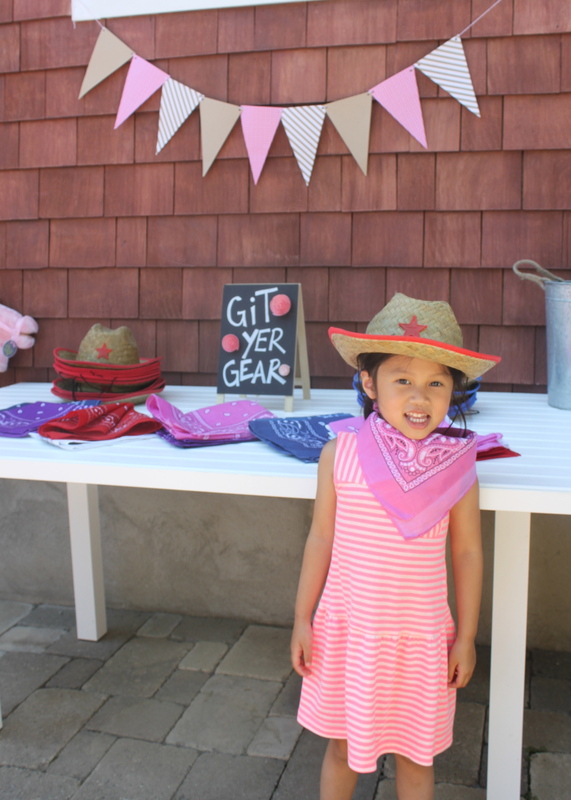 As the guests arrived they suited up at the “GIT YER GEAR” table. 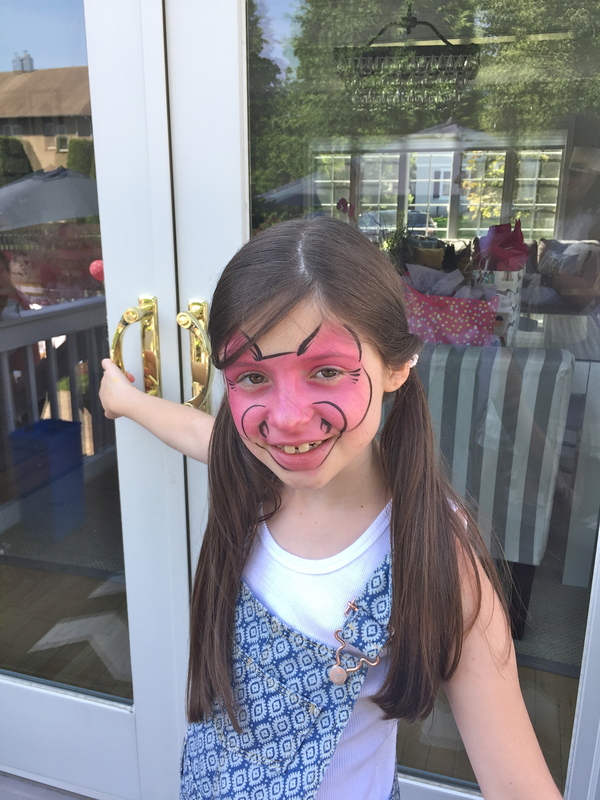 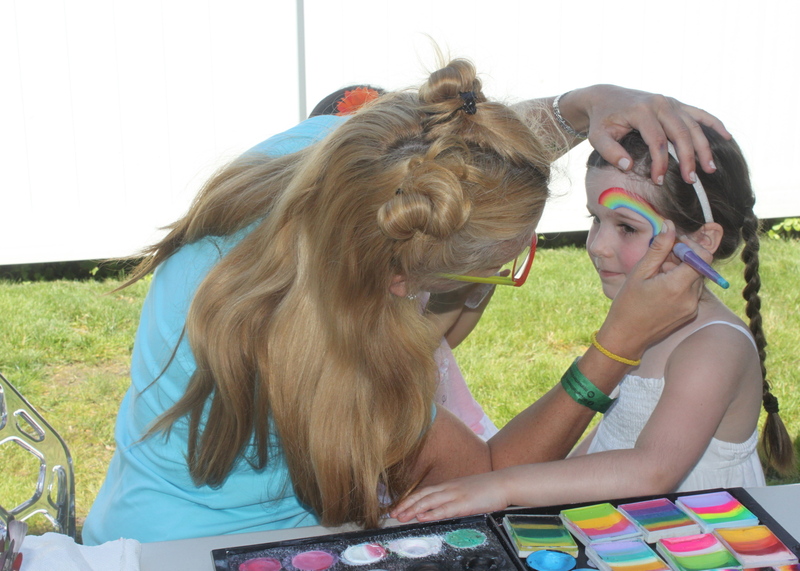 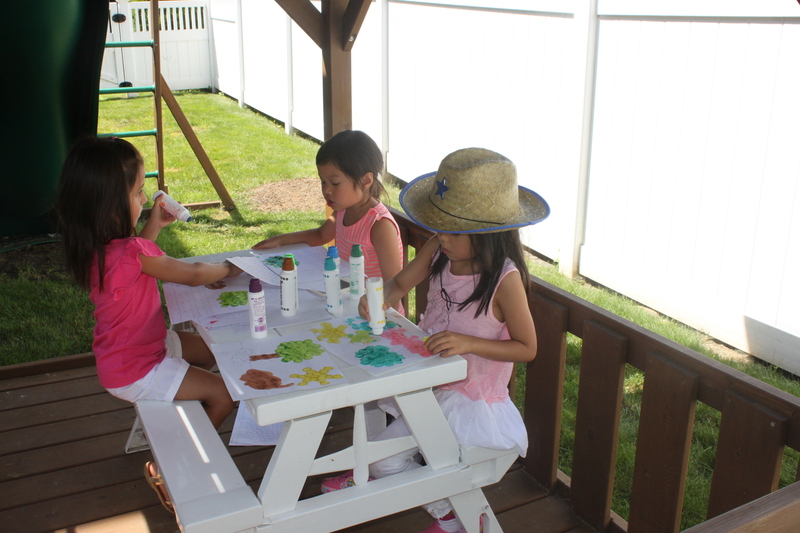 In addition to the petting zoo and pony rides, I had a face painter come do some animal face painting and I had a couple of craft tables with farm themed crafts from Oriental Trading for the kids to make. 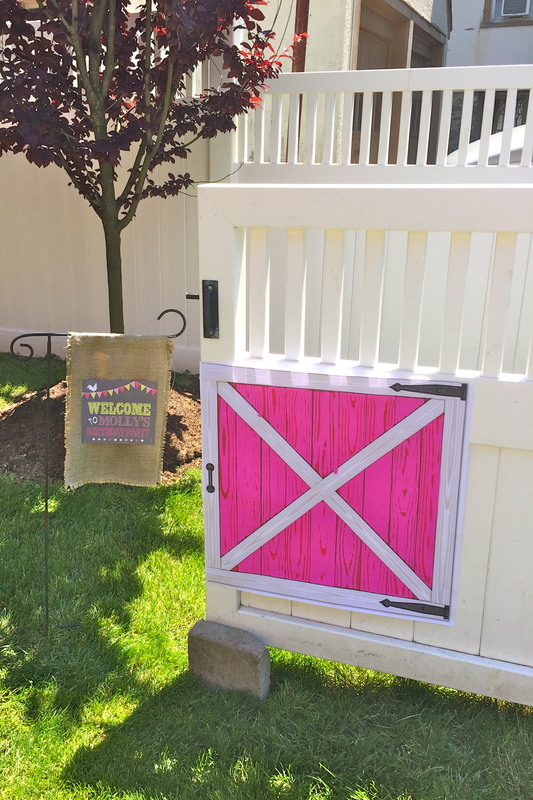 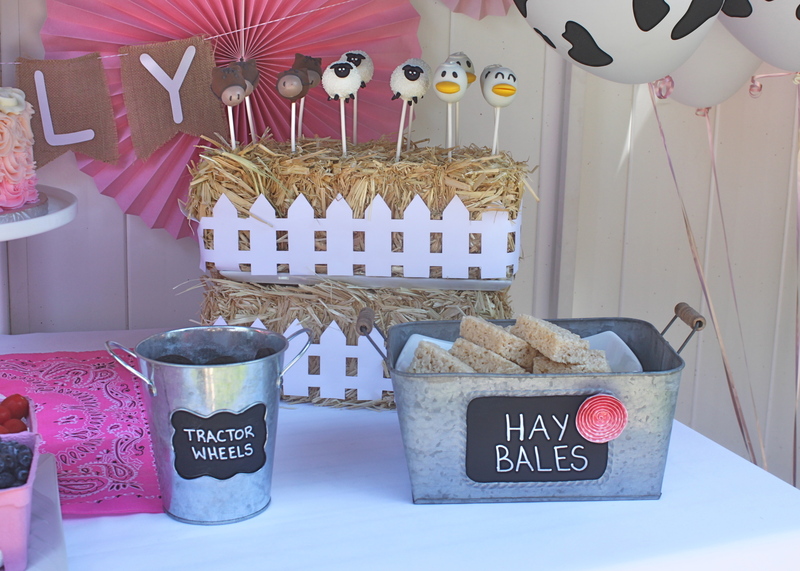 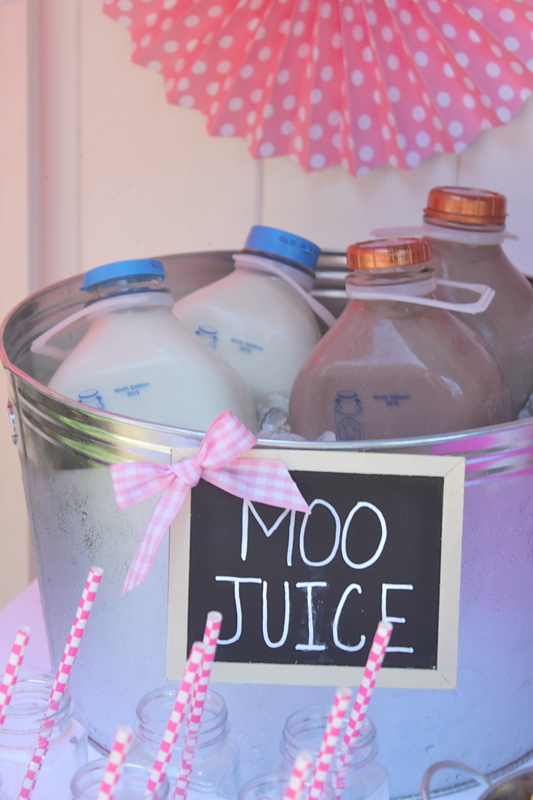 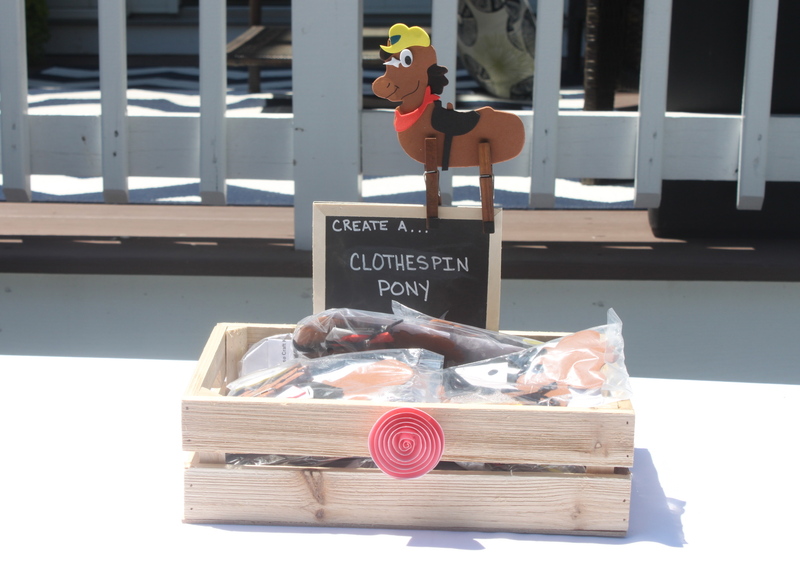 I know how much kids love snacks and treats so I had a table set up in the yard with some farm themed treats. 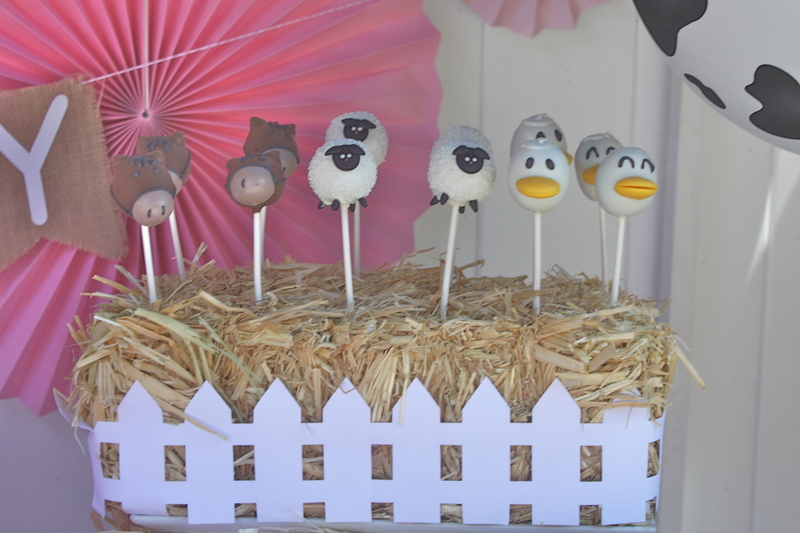 We had farm animal cake pops from BangPOPShop on Etsy. 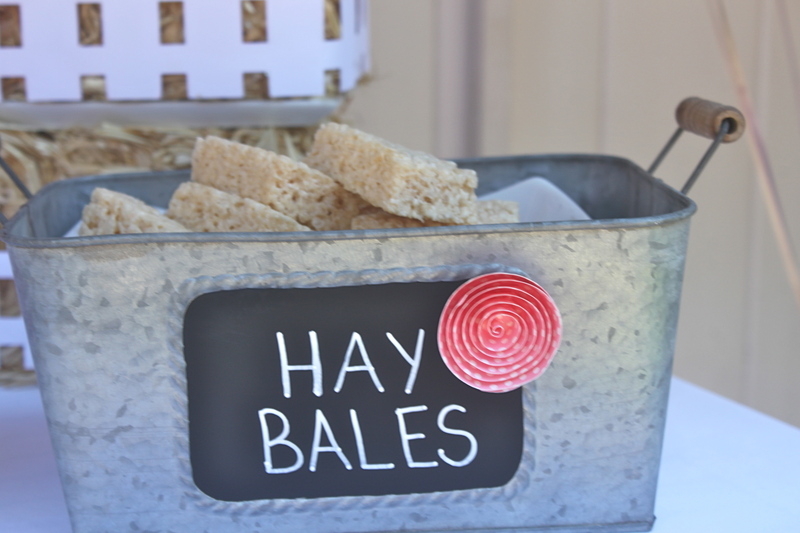 Rice Krispie treats make great “Hay Bales,” Oreos were “Tractor Wheels, and Chex Mix was “Chicken Feed.” I also had “Moo Juice” which was chocolate and white milk that the kids drank from old fashioned milk bottles. 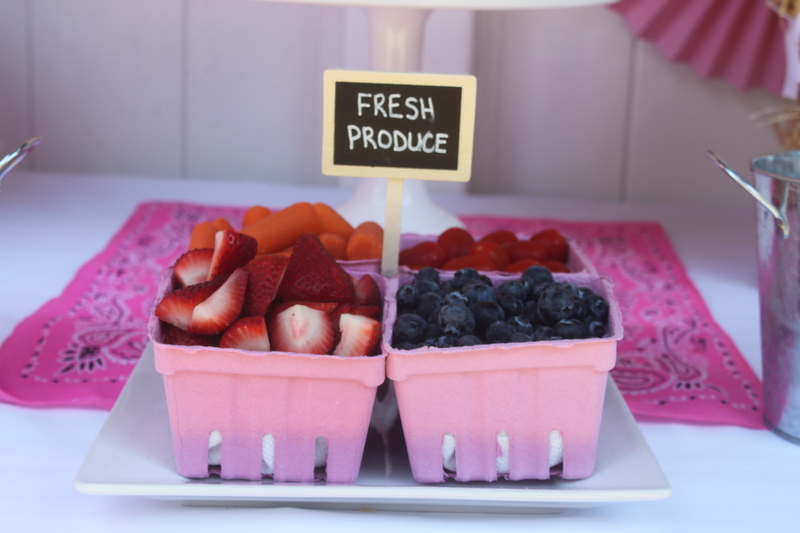 It wouldn’t be a farm stand without fresh produce, so I used pink berry baskets to hold blueberries, strawberries, carrots and grape tomatoes. 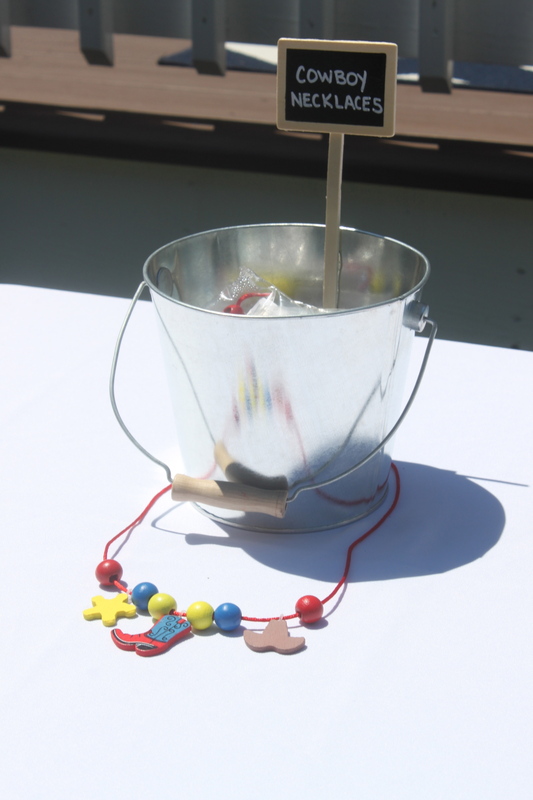 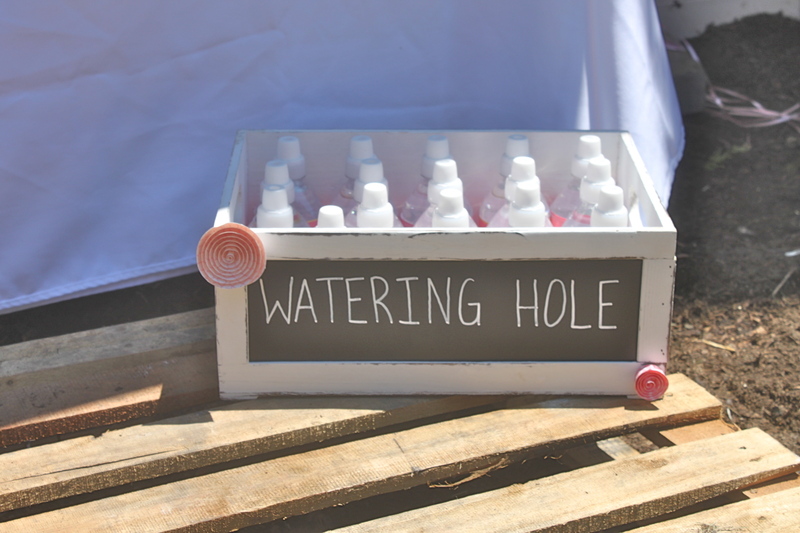 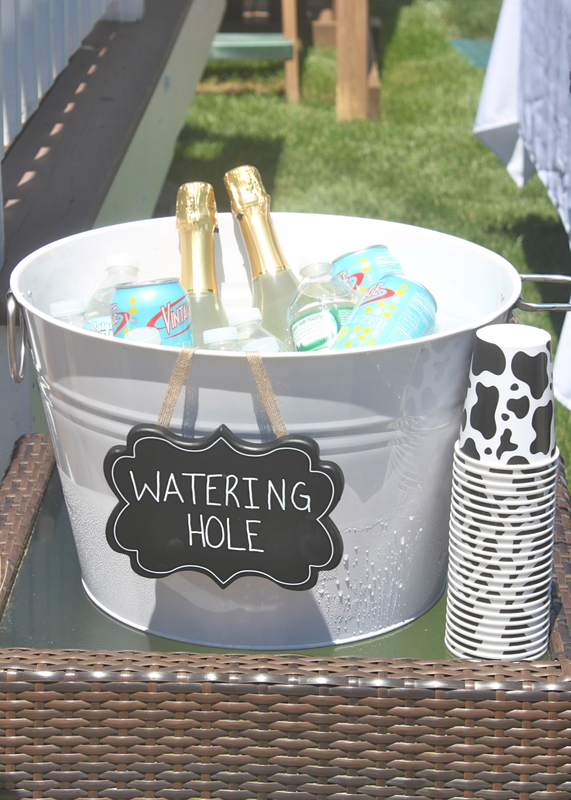 I had a “watering hole” with water bottles for the kids and a “watering hole” with beer and wine for the adults. 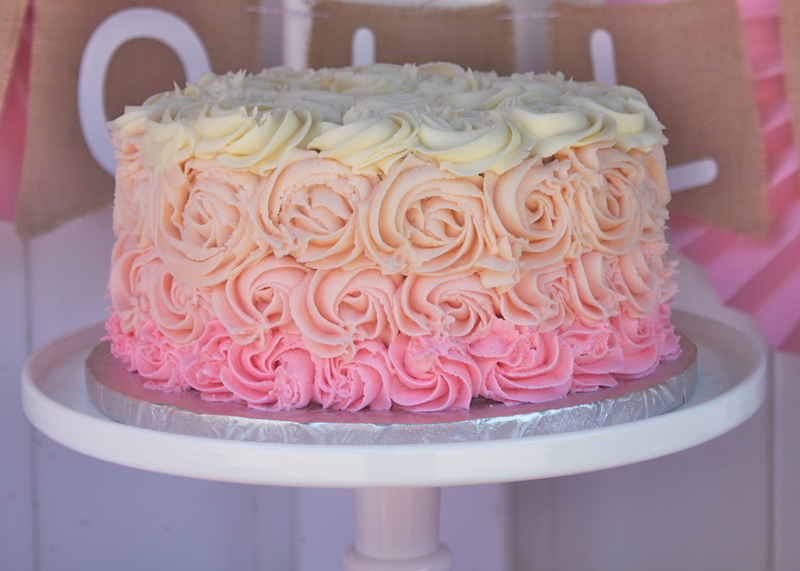 The gorgeous cake was made by the fabulous Daryl of Frosted by Daryl. 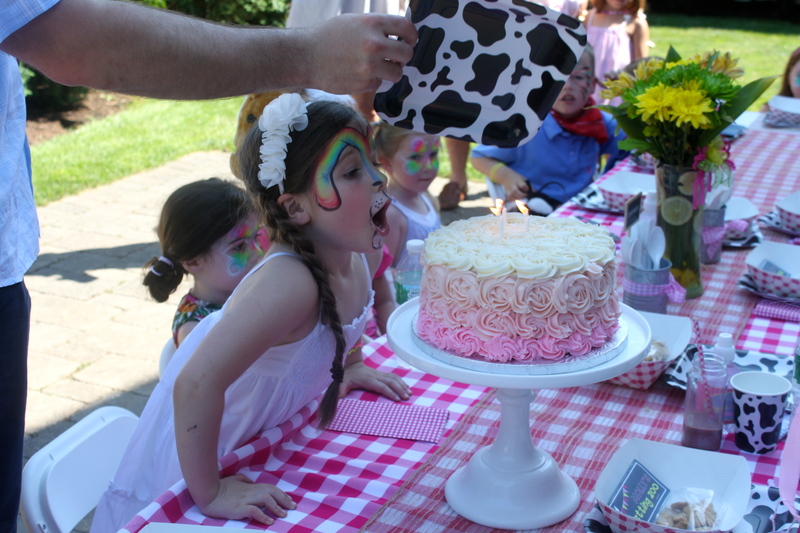 The cake was so delicious! 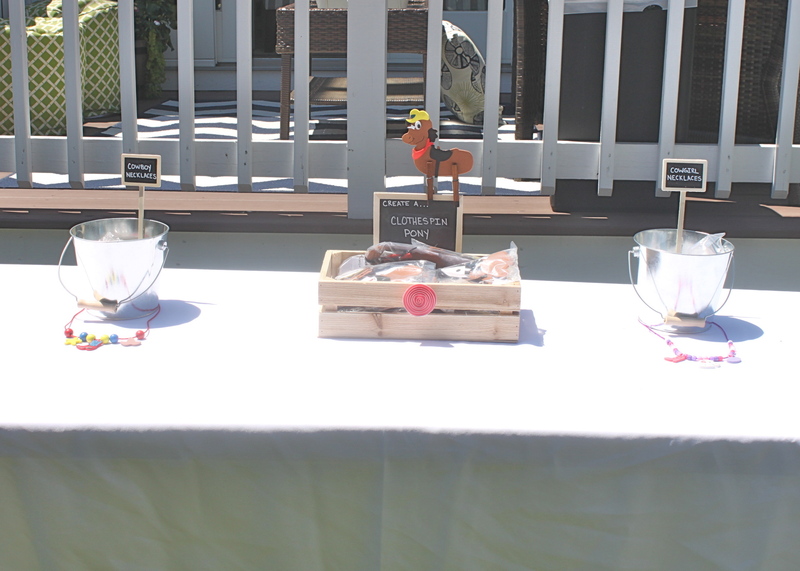 This was the first time ever that we have not had a single piece leftover! 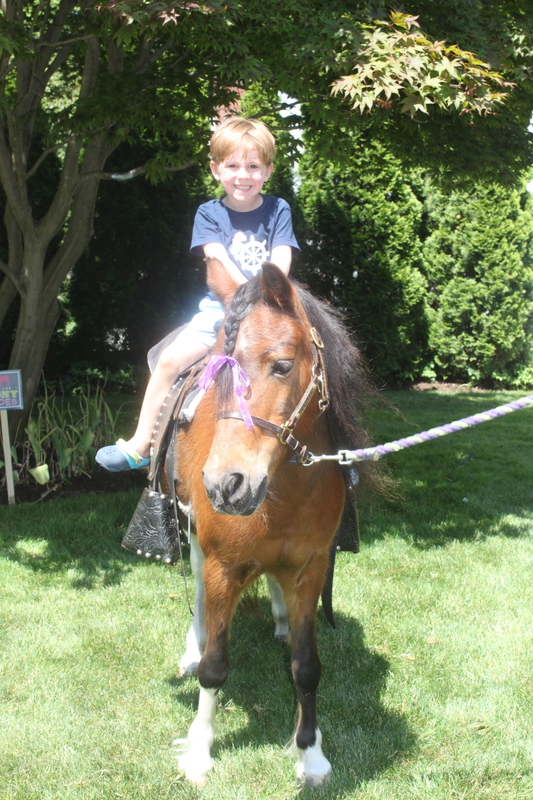 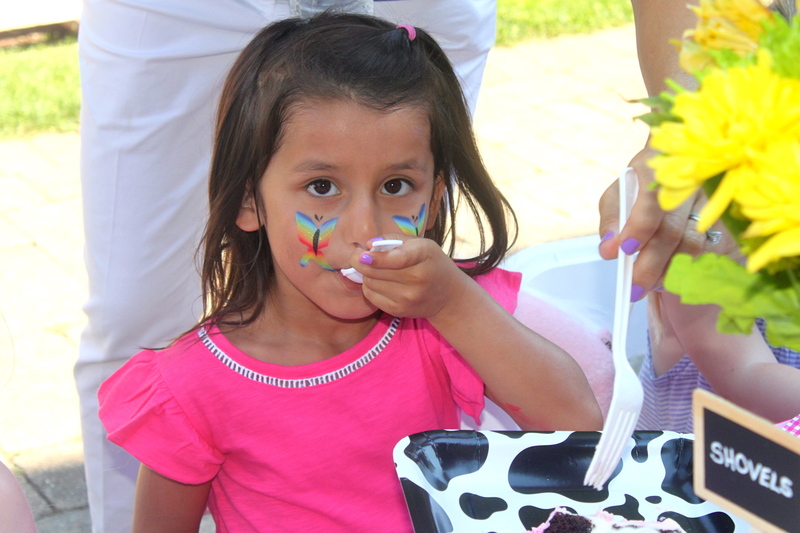 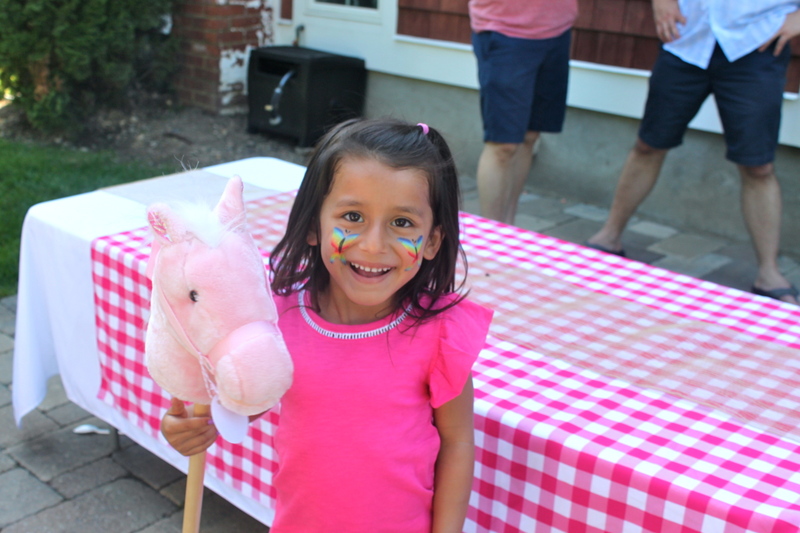 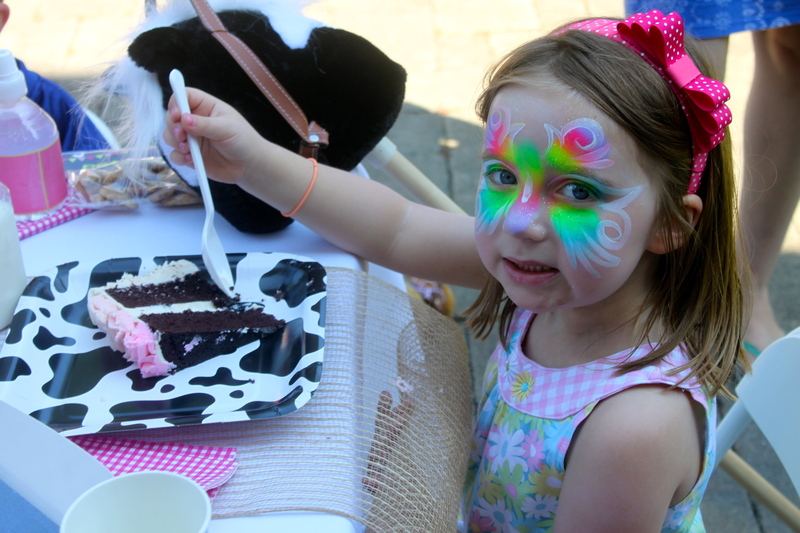 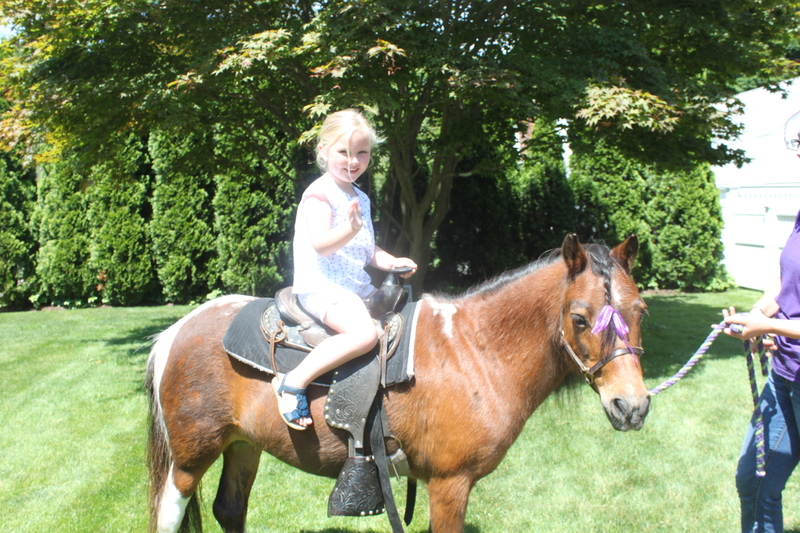 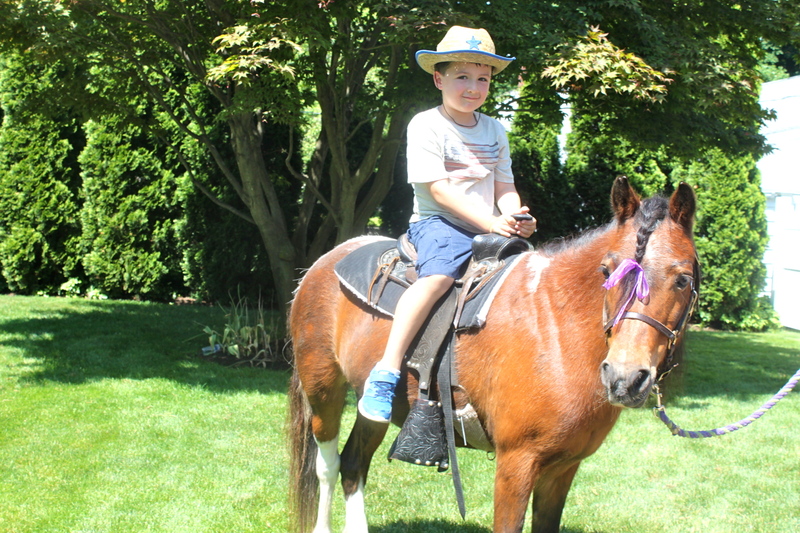 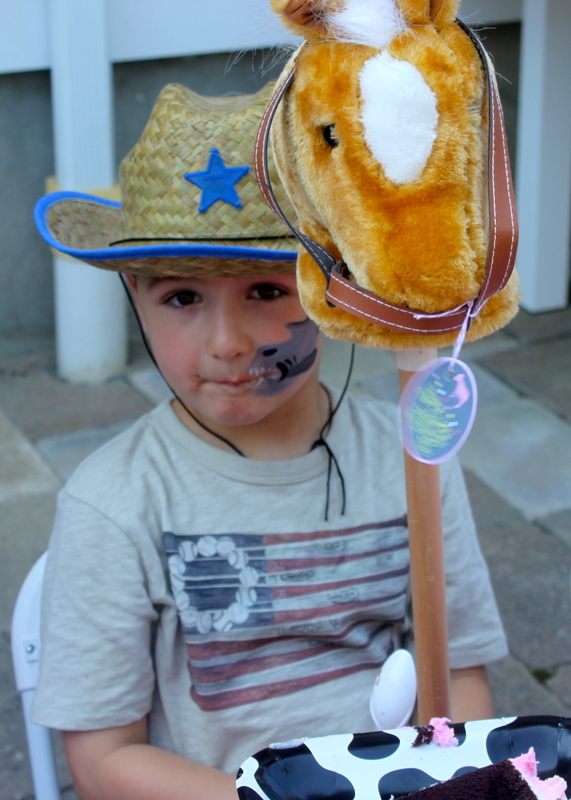 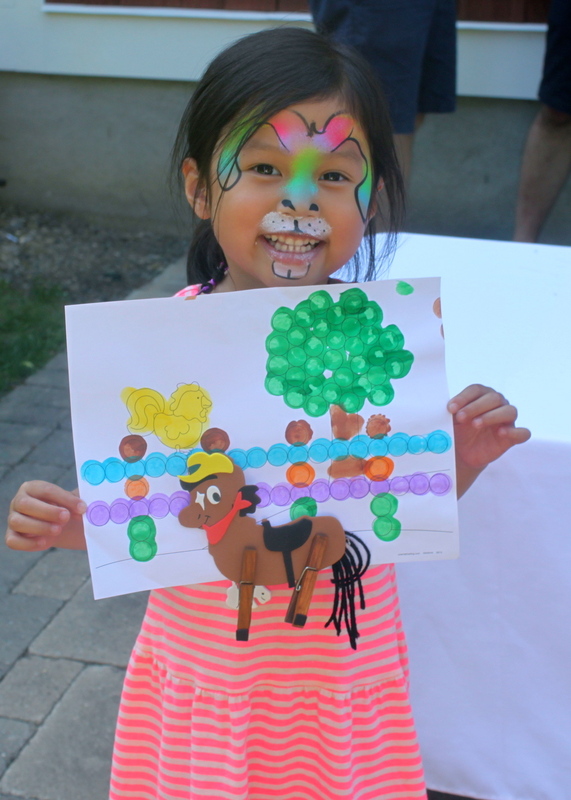 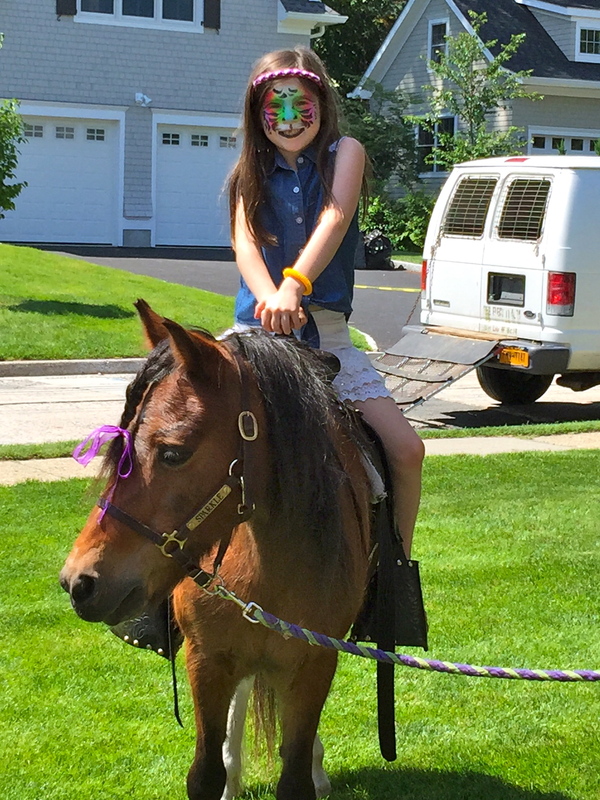 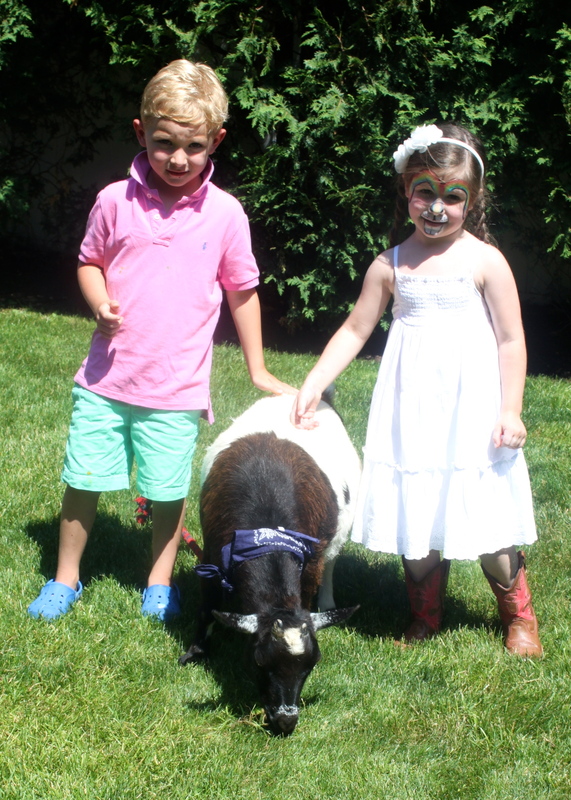 It was such a great party and the kids really enjoyed getting to pet the animals and ride the pony. 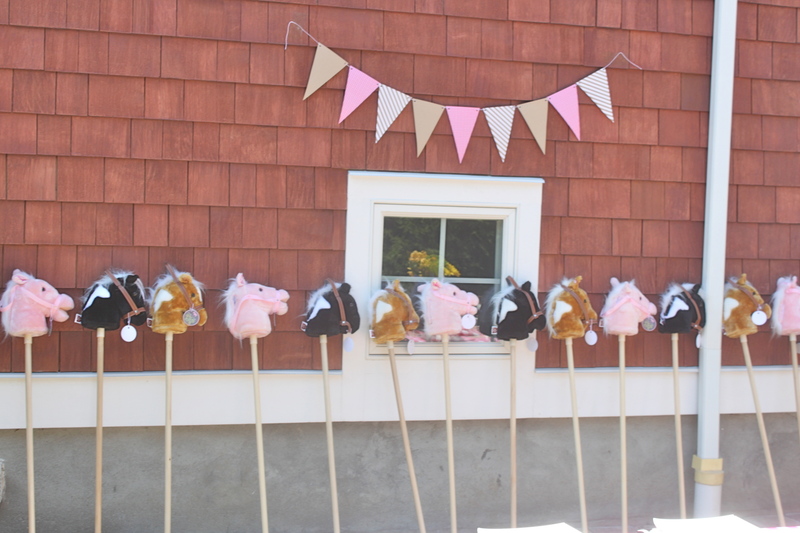 They each went home with their own pony on a stick to ride on their own. 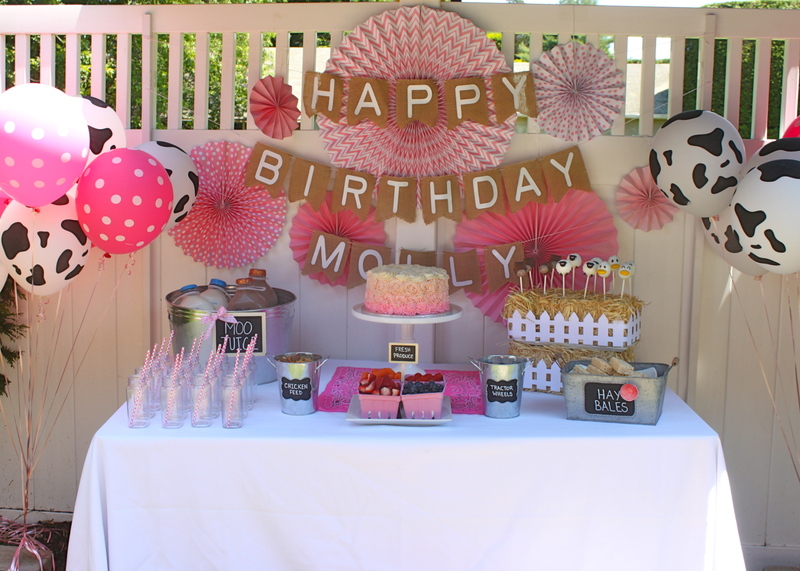 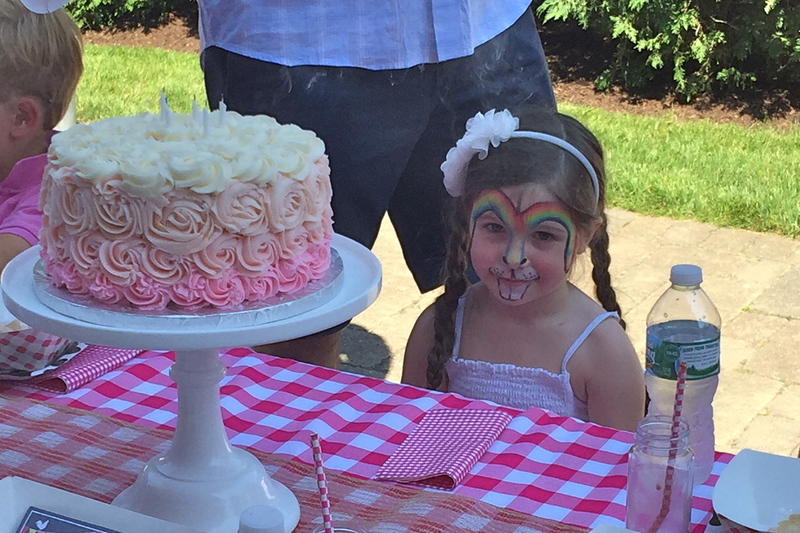 It was such a blast celebrating Molly’s 5th birthday. 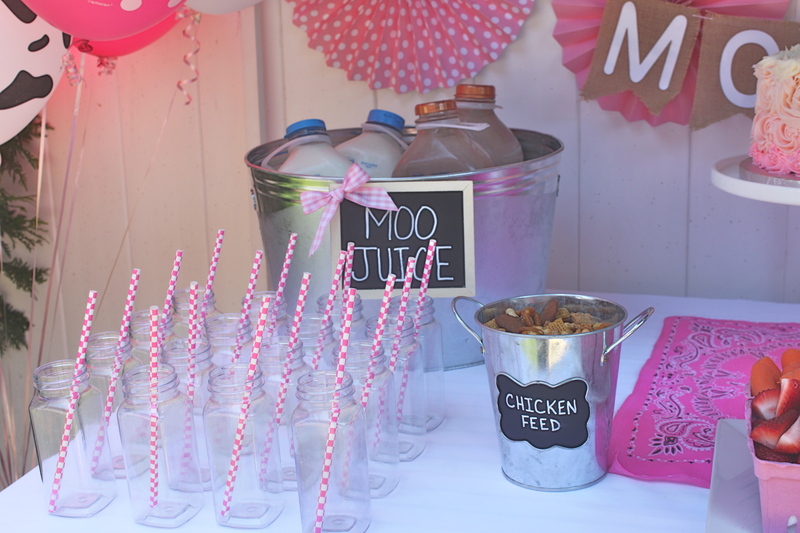 I absolutely loved how it all came together. 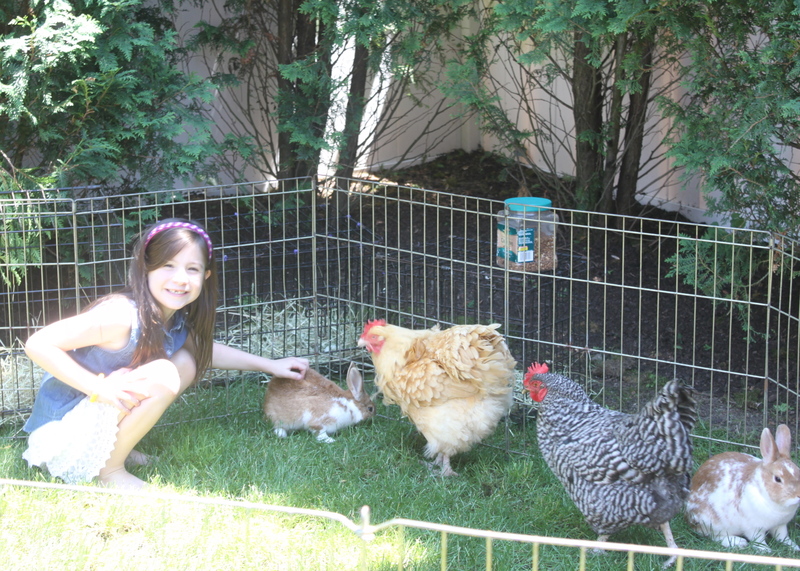 Here are a few more pictures and of course, a happy birthday wish for my little animal lover. 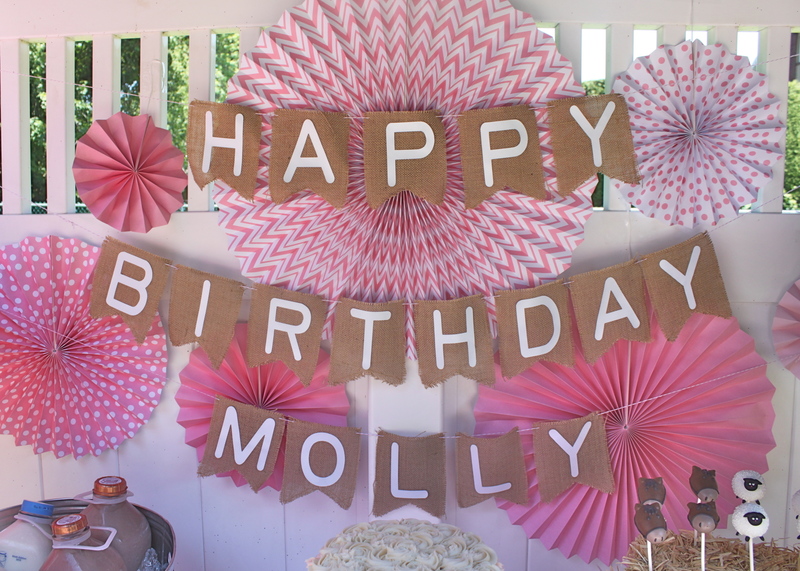 I hope you had a wonderful birthday, Molly. 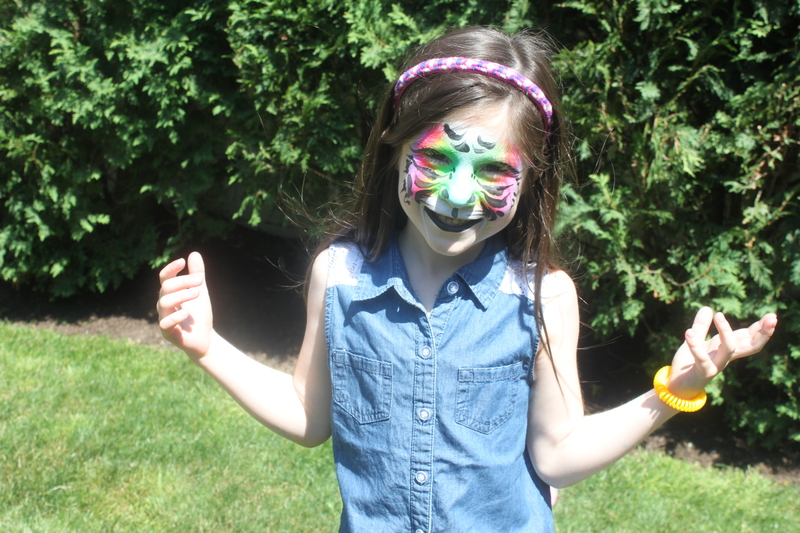 You are such a fun loving and outgoing little girl. 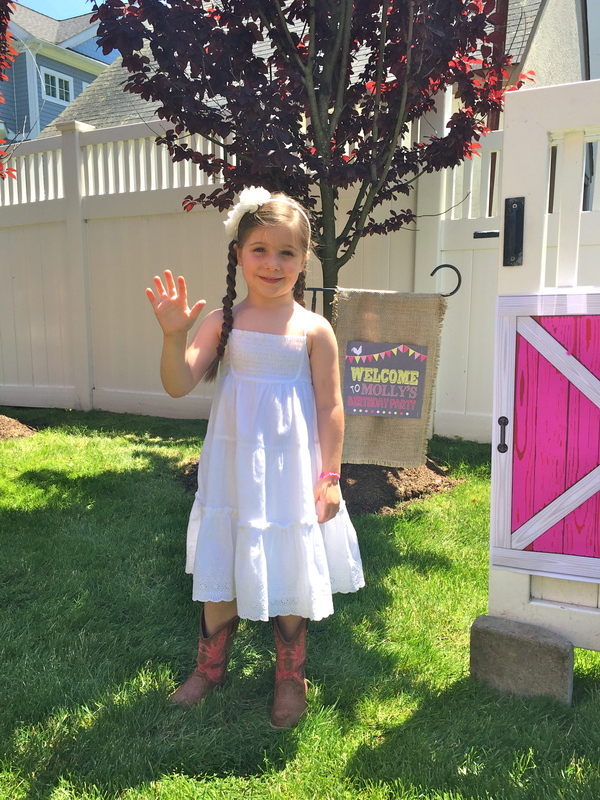 We are so happy to be celebrating your 5th birthday with you.